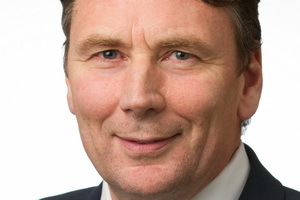 Mr David Thodey is Chairman of Australia’s national scientific research agency, the Commonwealth Scientific and Industrial Research Organisation (CSIRO). The CSIRO is Australia’s innovation catalyst, collaborating to boost Australia’s innovation performance. As set out in its Strategy 2020, the CSIRO creates benefit for Australia through impactful science and innovation. 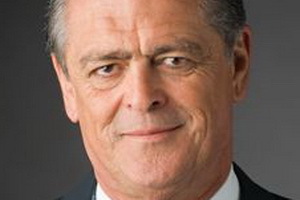 He has recently been appointed to lead the Independent Review of the Australian Public Service and is Chair of Jobs for NSW and on the Advisory Boards of SquarePeg Capital and UHG. Mr Thodey was Chief Executive Officer (CEO) and Executive Director of Telstra from May 2009, until he formally retired from the CEO position on 30 April 2015. He joined Telstra in April 2001 as Group Managing Director of Telstra Mobiles and in 2002 was appointed Group Managing Director Telstra Enterprise and Government. In this role, he was responsible for the company's corporate, government and large business customers in Australia and internationally. Before joining Telstra, Mr Thodey’s 22 year career at IBM comprised a number of senior marketing and sales positions including Chief Executive Officer of IBM Australia/New Zealand. He is an experienced board chairman and director. He has worked in Asia for over 25 years. Former board memberships include co-chair of the Infrastructure and Investment Taskforce of the B20 leadership group, and Chairman of IBM ANZ, TelstraClear, Information Technology (IT) Skills Hub, Industry Groups and Basketball Australia. He was also on the Board of the GSM Association, the global body of carriers and related companies that supports the standardisation and deployment of mobile technology around the world. He has extensive experience in information and communications technology (ICT), digital business, data services and digital services. He is known as an inspiring leader who builds extraordinary teams and winning cultures by creating career opportunities that challenge, provide a strong learning environment, and enable top talent to have an impact. Mr Thodey holds a Bachelor of Arts in Anthropology and English from Victoria University, Wellington, New Zealand. He attended the Kellogg School of Management Postgraduate General Management Program at Northwestern University in Chicago, USA. He has taken part in a number of Harvard Education programs and IBM Executive Education programs. In 2017, Mr Thodey was made an Officer (AO) in the General Division of the Order of Australia for distinguished service to business, notably to the telecommunications and information technology sectors, to the promotion of ethical leadership and workplace diversity, and to basketball. 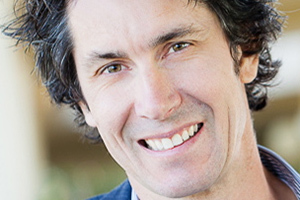 David Thodey is a compelling and content rich speaker with a wealth of business wisdom. In Australia we have innovative people. We are innovative as a people. But how do we become innovative as a country? David argues that as a nation we’re lacking the broader vision of where we ought to be. We don’t have a blueprint, a way for people to see how they might fit into the bigger picture. We have people going in different directions. How do we focus and channel these conflicting innovative energies to a common goal? David draws on a number of concepts and initiatives including Israel’s ‘innovation ecosystem’ and the Chinese approach. Relevant to everything from scientific research to commercialisation, David offers insights from his time as chair of Australia’s national science agency CSIRO for an inside perspective on this challenge. 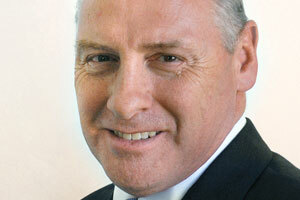 During his time at the helm of Telstra, David oversaw a period of unprecedented change. Having determined that one cannot effectively control behaviour using simply rules or processes, he implemented the development of Telstra’s core values as a business. These weren’t the traditional values of ‘service trust’, but active values like ‘trusting each other to do what’s right’. This change in thinking led to something bigger. It was a question of trust, and as it became apparent that the change in culture was absolutely unbelievable, it was a question of pure logic. When trust was a given, accountability followed. For David, culture change boiled down to a sense of purpose and values. David illustrates how a culture can move from slow-moving and bureaucratic to dynamic, fast-paced and self-driven. Customer advocacy – or simply focusing on the customer – was the number one business priority during David’s time at Telstra. He implores us to remember that customer advocacy isn’t just about smiley faces and being friendly; it’s about grasping the emotional side of people and exactly why and how they believe in an organisation. Cementing this sort of change in a company culture is a long journey, and the process of re-engineering the relationship with the customer is not a clear-cut one. There’s a level of discipline needed to measure and make a priority of constant improvement. Ultimately, it’s the attitude toward improving the product that really becomes important. In ‘Customer Service, Customer Advocacy’, David examines his list of specific, hard-won principles for driving a truly customer-centric organisation. One of David’s major achievements at Telstra was to foster an understanding of the intrinsic and inevitable benefits of digital transformation. A technologist as well as CEO, David is an authority on how to digitally enable processes within a company and disrupt existing business processes. This is all about our approach to data and how it’s used. It’s about capitalising on intelligence. At Telstra, David set up a division called the Digital Unit, having asked the key question: “How do you build the new skills and digitally enable them?” David highlights a number of varied examples of digital transformation to illustrate its key significance. He speaks about a kind of UberX of Telstra, in which geospatial technology is used to track, for example, a field technician, who can in turn make sure the customer is at home. The customer is happy and the technician is happy, with a better outcome for each and improved cost-efficiency. Drawing on a wealth of experience in this area, David unravels the questions of just how we can evolve our thinking about data and digital systems. The digital world is driving a different style of leadership. It’s an important thing for leaders to hear, and to keep hearing. Gone are the days of relying solely on positional power; today’s leaders must work to actively enable the success of others. And so it follows that if hierarchical structures are increasingly unreliable, we must cultivate reliance on network structures. In ‘Leadership in the Digital Age’, David speaks about how hierarchical, controlled environments never really work except in static situations, and how the nature of business today demands a very different leadership style. Sometimes you arrive at the end of an idea – even a great one – but unless you can relate it to a customer’s needs, and design a product with these in mind, you’ve fallen short. ‘Design Thinking’ is a methodology that helps industry leaders bring customers into the design process. Having established ‘design thinking’ methodologies within Telstra, designers began to consult not just with the innovation area, but with the traditional product area too. This completely changed the way Telstra’s product managers thought about product, and started to get them involved in the detail of how those products are ultimately used. In this presentation, David shares what has since become a classic case study in ‘Design Thinking’, and the wonderfully designed products that emerged. Innovation must be one of the key cultural priorities of any serious business. But how does one create innovation as a way of behaving within a large corporation? And how does one do it in a way that specifically drives product innovation? In this presentation, David examines the funding of innovation at Telstra through measures such as the establishment of the Innovation Hub. David explains how it worked, laying bare the positives and negatives of the process from idea to product. The good news, David concludes, is that innovation can be learned. What he found is that if you believe people are creative individuals and establish a system to capture ideas and see them manifested through implementation, you create a culture of great product innovation. 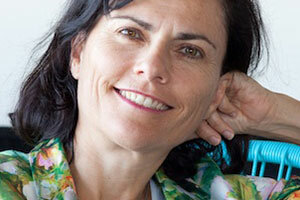 The Telstra story is a transformation story. David addresses the five major areas of transformation during his time as head of the organisation: customer-centricity, culture, leading strategy, the changing nature of leadership, and the need for innovation. David’s Telstra story is the story of how to lead cultural change, and of customer advocacy and just what that means in practice. A leading technologist, David speaks engagingly and informedly about trends in technology, from network enablement through to changes in consumer technology.